Orson Welles always wanted to be a popular artist. Unfortunately, while the “artist” part came easy to him, he always found the “popular” part elusive. 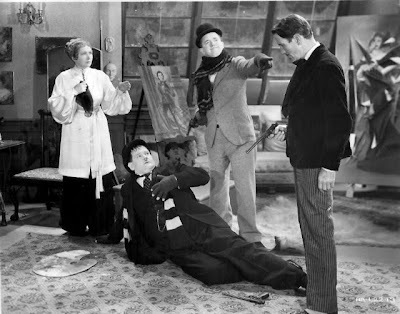 True art is rarely popular; and when it came to creating art, Welles just couldn’t help himself. He was doomed to be an unpopular artist from the start. While Orson’s early films, such as Citizen Kane (1941) and The Magnificent Ambersons (1942) are justly celebrated today as movie masterpieces, most audiences (outside of fervent film geeks) have not seen his later directorial efforts. 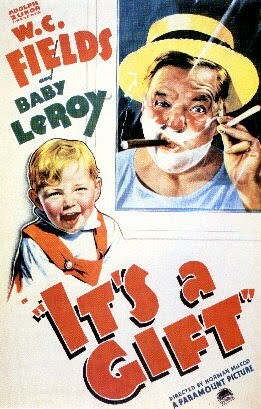 This has led to an incorrect assumption that after a spurt of genius, Welles fell into artistic decline. In truth, the artist in Orson never declined. The only thing that declined was the budget with which he had to work. 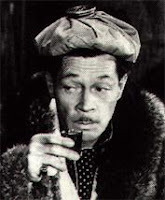 After a number of early box office duds, Orson often had to scrounge for money or finance his directing jobs himself. While these later pictures were produced on a shoestring and received scant theatrical releases, they are no less artistic than Kane. 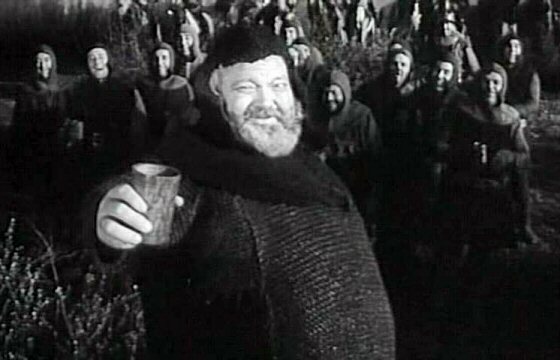 In fact, Welles considered his later works, The Trial (1962), Chimes At Midnight (1965), and F for Fake (1973) to be his best; and of them Chimes at Midnight was the closest to his heart. Chimes at Midnight is a Shakespeare film like no other. 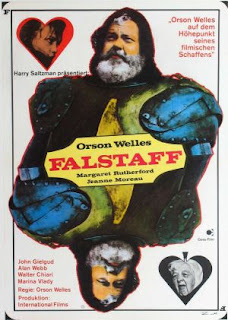 Rather than make a movie adaptation of a single play, as he had done with Macbeth (1948) and Othello (1952), Orson took bits and pieces from several of the bard’s history plays in which the supporting character of fat, drunken, boasting, cowardly, and lovable Sir John Falstaff appeared and cobbled them together into a single narrative. Welles’ transposition of Shakespeare’s storytelling proves to be just as effective as the bard’s original plays and suggests that the background action of the relationship between sherry-sodden Falstaff and Prince Hal is a deeper, more thoughtful story than that of the primary action of kings and crowns and war. 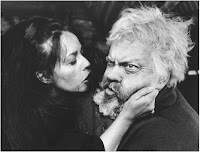 While much of the Welles’ film is assembled from the comedy relief scenes of Shakespeare’s history plays, the overarching mood of the picture is one of melancholy. The Prince of Wales enjoys his inebriated adventures with Falstaff, but he knows that eventually he will have to cast off the frivolities of his youth and the old reprobate along with it. 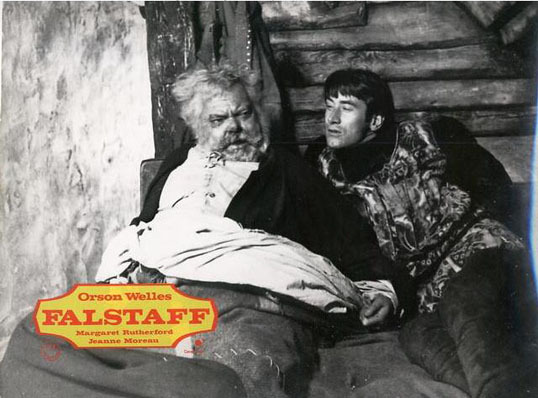 Hal’s looming responsibilities and eventual rejection of Falstaff are foreshadowed throughout the film and darken even the most good-humored scenes. The themes of aging and death are also repeated throughout the film, as the title would suggest. 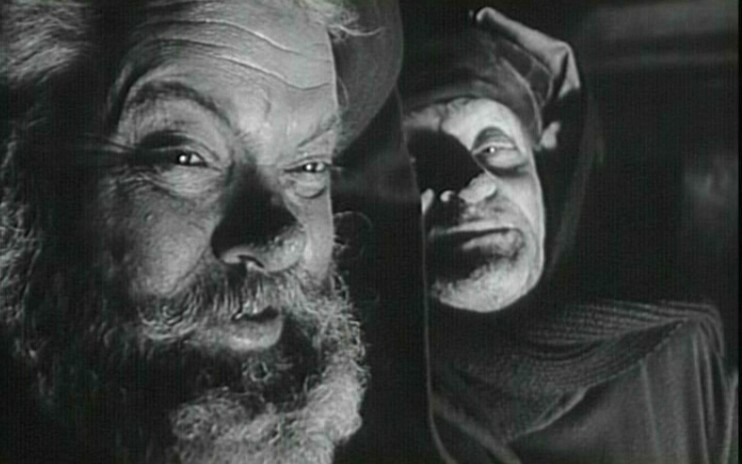 With these dark devices, Welles makes Falstaff the saddest of clowns. Like all Orson’s films, Chimes at Midnight is visually stunning and cleverly edited, despite its modest budget. In fact, the movie is most famous for its battle of Shrewsbury sequence, which is one of the most down and dirty war scenes ever committed to film. 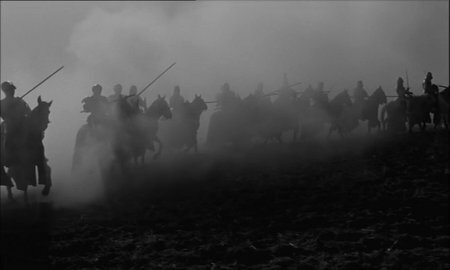 That muddy clash of men, horses, swords, and arrows has influenced numerous films that followed, including Kenneth Branaugh’s Henry V (1989) and Braveheart (1995). 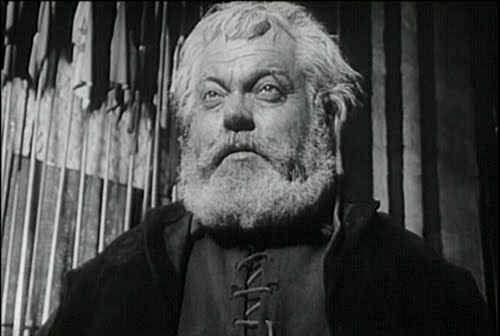 Despite the visual splendor, it is Welles’ performance that is the most dazzling aspect of the film. 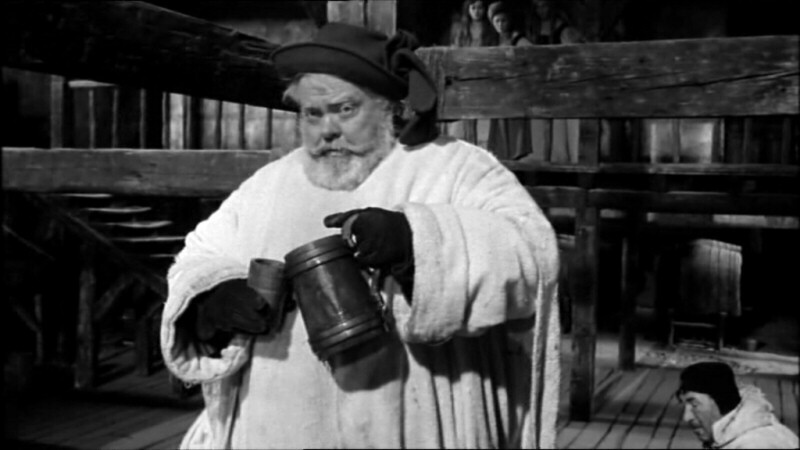 While Falstaff is oversized in his mirth and his girth, Welles characterization never falls into caricature. He is equally believable jovially extolling the virtues of wine and heartbroken at the Prince’s rebuke. In fact, Welles’ wordless reaction to his banishment by his former friend is Orson’s greatest moment of acting on film. He simultaneously conveys unendurable grief and fatherly pride. 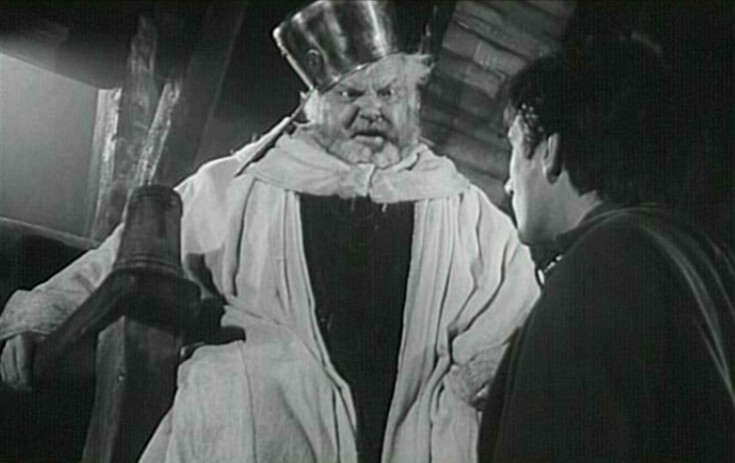 The other cast members are excellent, particularly Norman Rodway as Hotspur, but they can’t match Welles’ full-formed embodiment of Sir John. While the film occasionally suffers from its low budget, especially in terms of some sound-syncing issues, many critics consider Chimes at Midnight to be the greatest Shakespeare film ever made. 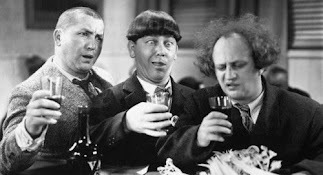 It is certainly the most original and the booziest movie adapted from the bard’s plays. It is not to be missed. Potent Quotables--FALSTAFF: A good sherris sack hath a two-fold operation in it. It ascends me into the brain; dries me there all the foolish and dull and curdy vapours which environ it; makes it apprehensive, quick, forgetive, full of nimble fiery and delectable shapes, which, delivered o'er to the voice, the tongue, which is the birth, becomes excellent wit. The second property of your excellent sherris is, the warming of the blood; the sherris warms it and makes it course from the inwards to the parts extreme. And hereof comes it that Prince Harry is valiant; for the cold blood he did naturally inherit of his father, he hath, like lean, sterile and bare land, manured, husbanded and tilled with excellent endeavour of drinking good and good store of fertile sherris, that he is become very hot and valiant. If I had a thousand sons, the first humane principle I would teach them would be this, to forswear thin potations and to addict themselves to sack. Video Availability--Due to legal wrangling over ownership, Chimes at Midnight has never been officially released on DVD in the States. However, there have been a few Region 2 DVD releases, including an out-of-print Studio Canal release that had pristine audio and video. However, Nostalgia Family Video (a.k.a Hollywood’s Attic) does produce a "collector's copy" on DVD in the U.S. Similarly Sauced Cinema--Welles stars as a crooked cop with a problem with the bottle in another of his directorial masterpieces, Touch Of Evil (1958). Attention East Coast Soused Cinema Enthusiasts! 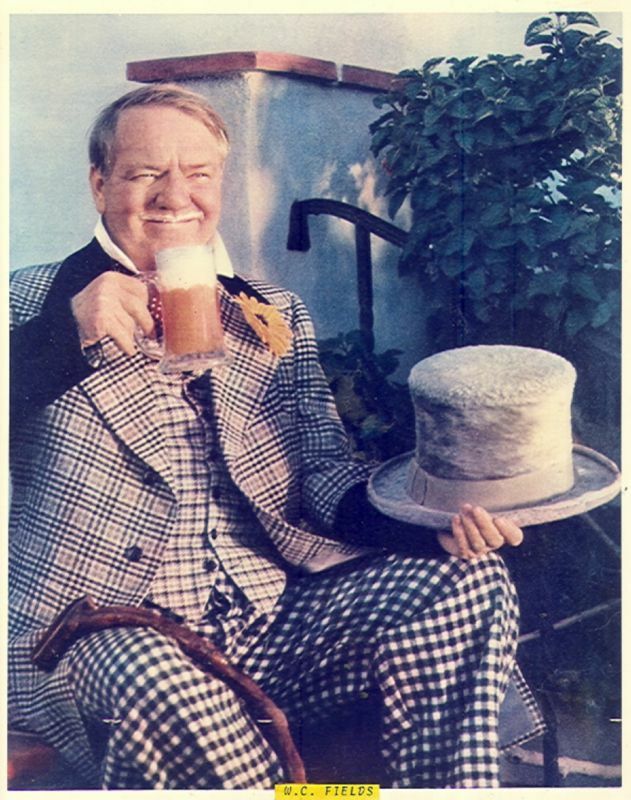 On May 19th, The New York Public Library for the Performing Arts at Lincoln Center will open an exhibition dedicated to the patron saint of booze movies, W.C. Fields. 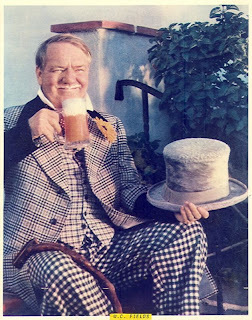 “The Peregrinations & Pettifoggery of W. C. Fields,” organized by the Academy of Motion Picture Arts and Sciences, draws on a remarkable trove of personal memorabilia including posters, photographs, publicity materials, letters, scripts, personal documents, artifacts, film clips, and sound recordings donated by family and friends of the Great Man. The exhibition will run through August 21st. Don't miss it! June 1st at 2:30 p.m.
June 8th at 2:20 p.m.
June 15th at 2:30 p.m.
June 22nd at 2:30 p.m.
June 29th at 2:30 p.m.
July 6th at 2:30 p.m.
For more info, check out nypl.org and wcfields.com.